Gossip Girl New Episode coming soon!!! Hey guys! I have been on a gossip girl marathon and it took me 2 days of night to finish the first season! Have been sleeping at 3-4 a.m in the morn. This show officially has topped my list and it is the best TV show I have seen and I am a big big fan! The reason why I love this particular TV series is cause it was how I grew up as well when I was staying in New York, during my teens, in a private high school with rich rich snobbish students and also a small portion of them are also nice and humble and people who parties a lot and definitely lots and lots of gossip and scandals! The movie really made me reminisce on my days when I was there. I miss NYC! Blake Lively is the most beautiful women in the world! In my books that is! She is so flamboyant, happy, has the smile that takes your breath away and many other countless things about her that I love so much! Well see on the TV show.. Serena (Blake Lively) has a relationship with Dan Humphrey (Penn Badgley) and do so in real life as well. As for me… I am looking for my Blake Lively, my Serena. 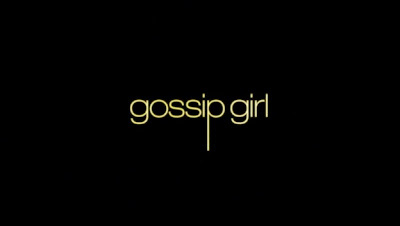 I will be trying to finish my Gossip Girl Marathon from Season 1 to Season 2 and to the latest episode. I was bored waiting for 90210 and heroes new episode. Basically I am waiting for the last episode of Heroes season 3 to finish downloading.. So for the mean time I got Gossip Girls from Chloe who is a die-heart fan of Gossip Girls. For me it’s 90210 !